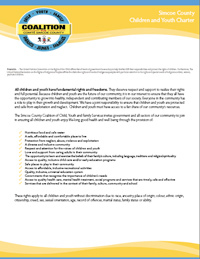 Midhurst/ November 20, 2009 – The Child, Youth and Family Services Coalition of Simcoe County today launched the County’s first Child and Youth Charter, documenting basic rights for young people and responsibilities for those who care for them. Children and youth joined Coalition members and government representatives at the Simcoe County Administration Centre on Friday, November 20th to proclaim the Charter in English, French and Ojibway. 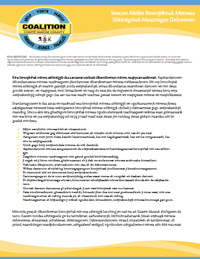 The United Nations Convention on the Rights of the Child affirms that all levels of government have a duty to help families fulfill their responsibilities and protect the rights of children. 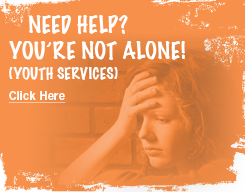 Locally, the Child, Youth and Family Services Coalition is a county-wide alliance including non profit and public organizations that serve children, youth and their families in Simcoe County. Formed in 1999, members work together to increase the effectiveness of the service delivery system across the region. 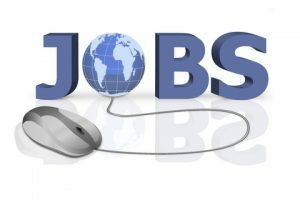 Sectors represented include municipal government, health, education and social services. 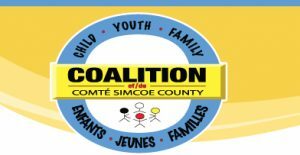 The Simcoe County Coalition of Child, Youth and Family Services invites government and all sectors of our community to join in ensuring all children and youth enjoy life-long good health and well being through the provision of Charter rights including nutritious food, safe water and safe, affordable housing. 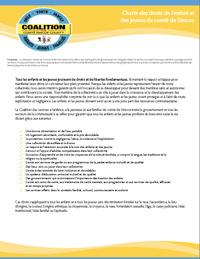 If you wish to show your support for this Charter (below in pdf format) please fill out your name and e-mail below.